In Dear Ayeeyo, Yasin Osman shares scenes of everyday life within the villages of Somalia. 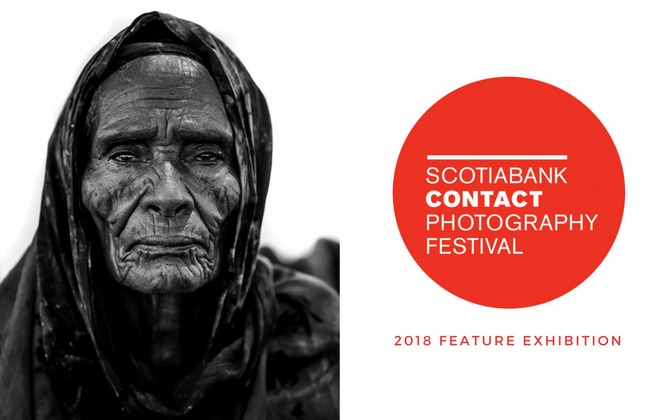 This exhibition features large-scale portraits and snapshots that offer glimpses into the lives of the Somali people during a time fraught with humanitarian crisis and severe drought. Through fostering trust and camaraderie with his subject, Osman achieves intimate portraits that contest the portrayal of Somalia in the popular media. The child of Somali parents, Osman returned to his ancestral lands in search for an emotional connection. This body of work, compiled together for the first time, showcases his journey home as an outsider, examining this foreign land. Dear Ayeeyo is intended as a tribute to Osman’s grandmother. Yasin Osman, is an award-winning Toronto photographer that specializes in evocative images of the living world. Raised in Regent Park he felt the urge to document everyday life in his changing neighbourhood. He has worked with organizations such as UNICEF, MACLEANS Magazine and VICE. Through social media platforms Yasin has accumulated over 300 thousand followers. The artist is currently working on a legacy photography project that solely focuses on the revitalization of the Regent Park community.